Looking for a great day of fishing? 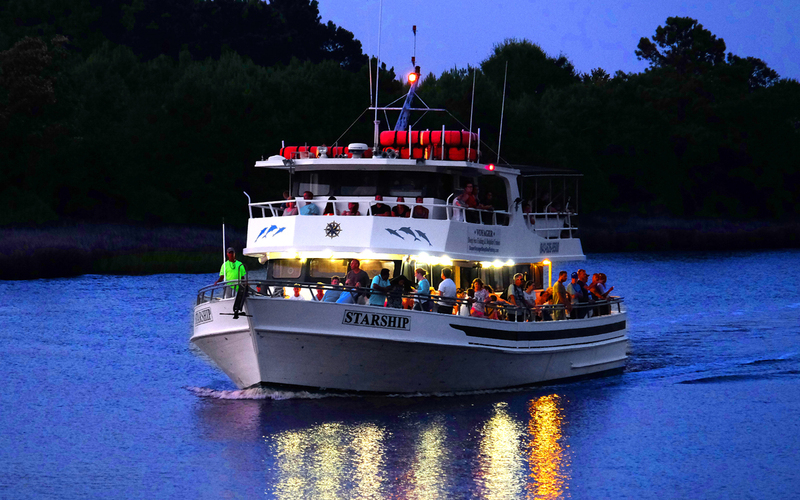 Whether you are a local or visiting Myrtle Beach area for the first time, we have a day that you will remember for years to come. 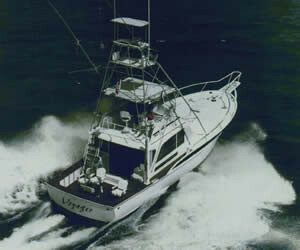 Voyager Deep Sea Fishing has a fishing boat to fit any size group. 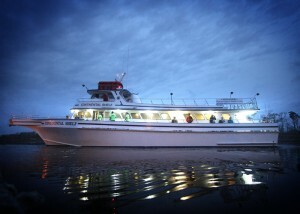 Join us for a day of deep sea fishing, dolphin watching or charter fishing trip for your family and friends. We are centrally located and near to great attractions in South Carolina and North Carolina. 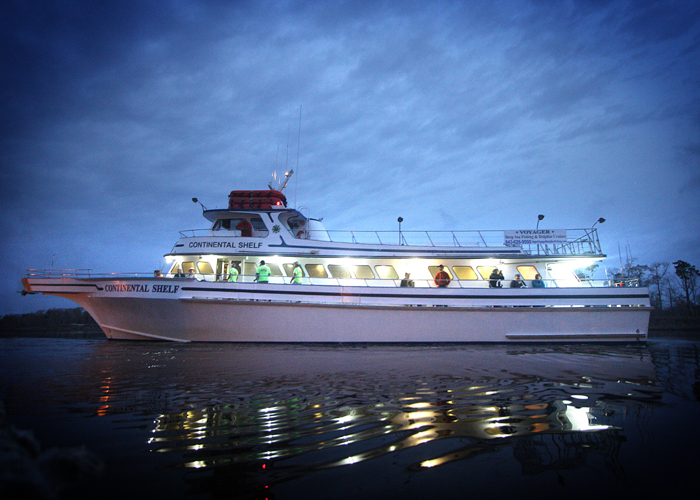 Be sure and book your fishing boat early to avoid the crowds. 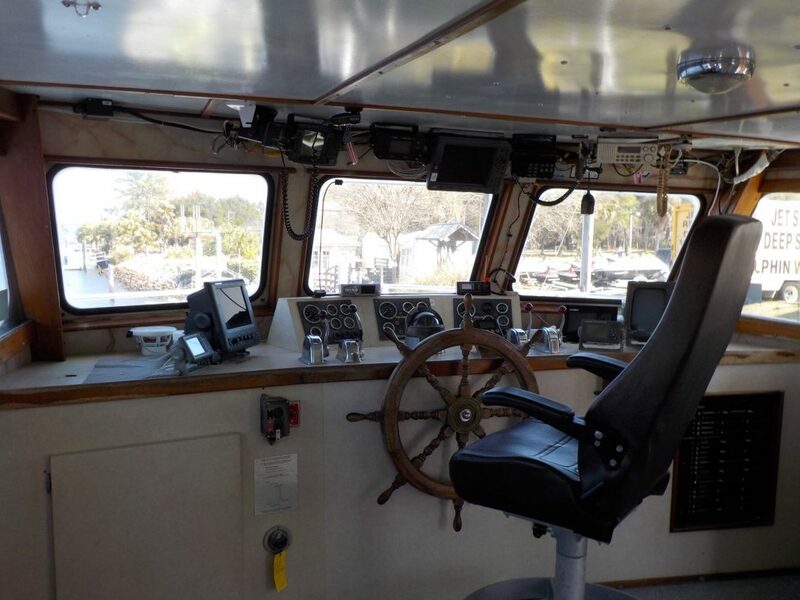 Call us at (910) 575-0111 or 843-626-4900 for fishing in South Carolina. 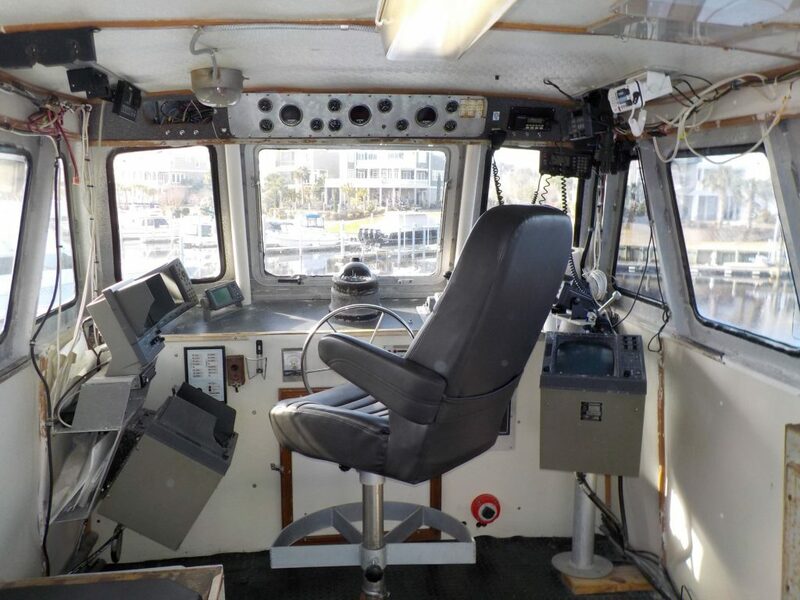 100′ Continental Shelf Custom Lydia Built Fishing & Cruising Yacht. 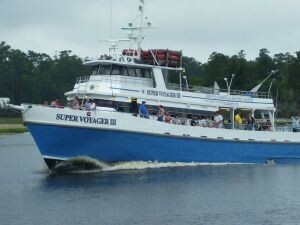 Very Fast with Triple Turbo Charged V-8 Detroit Diesels provides More Fishing Time. 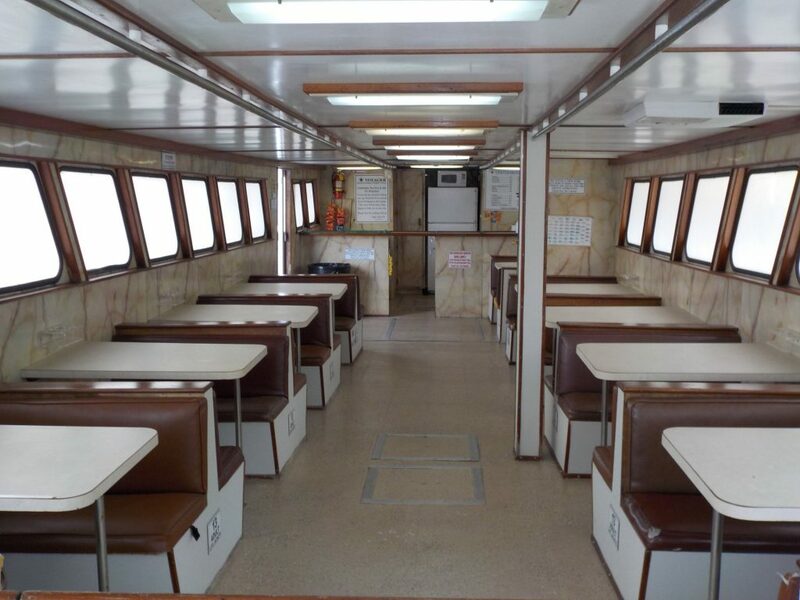 Super Clean & Modern with Air Conditioned Cabin. 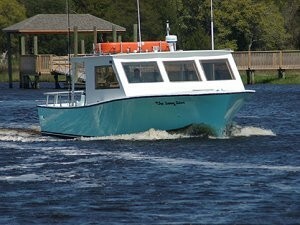 This is the finest passenger boat on the Grand Strand. 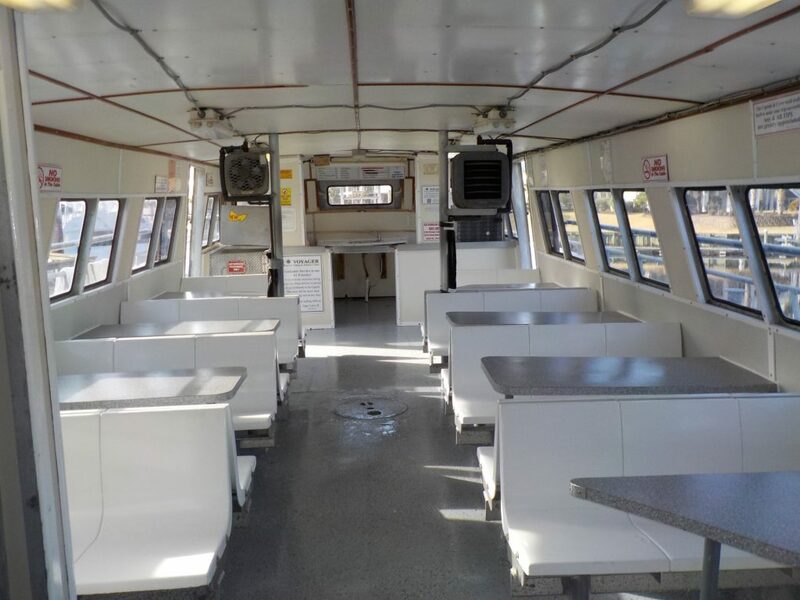 The Starship is licensed for 132 passengers. She runs twin turbo diesel engines. 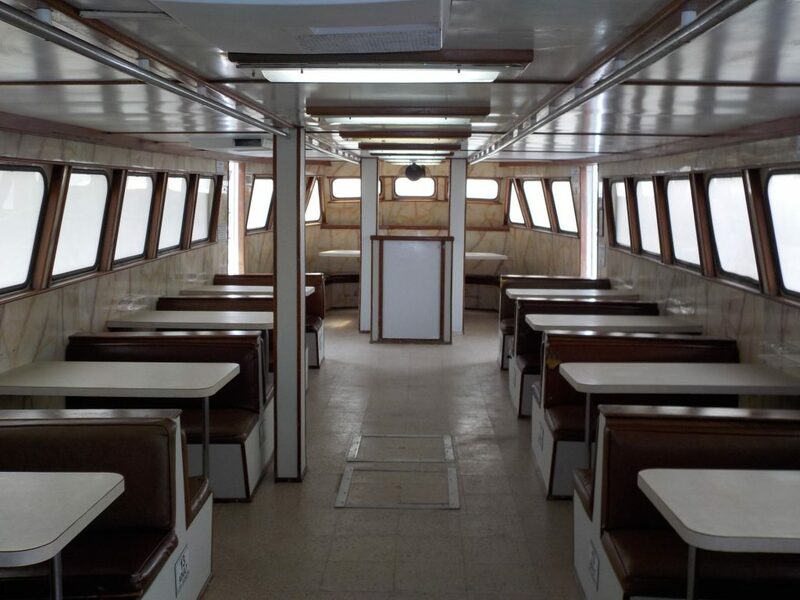 Equipped with a full on-board galley serving food and drinks throughout the trip. 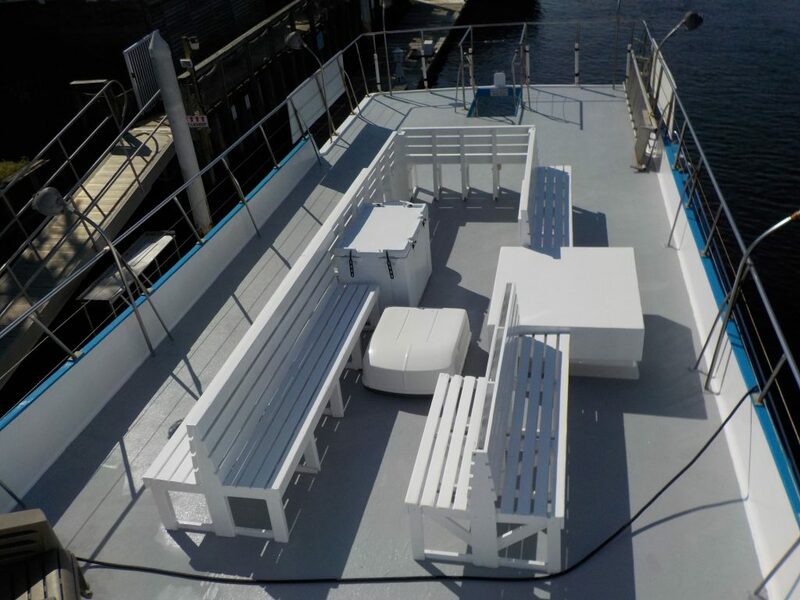 Sun deck with awning for your enjoyment. 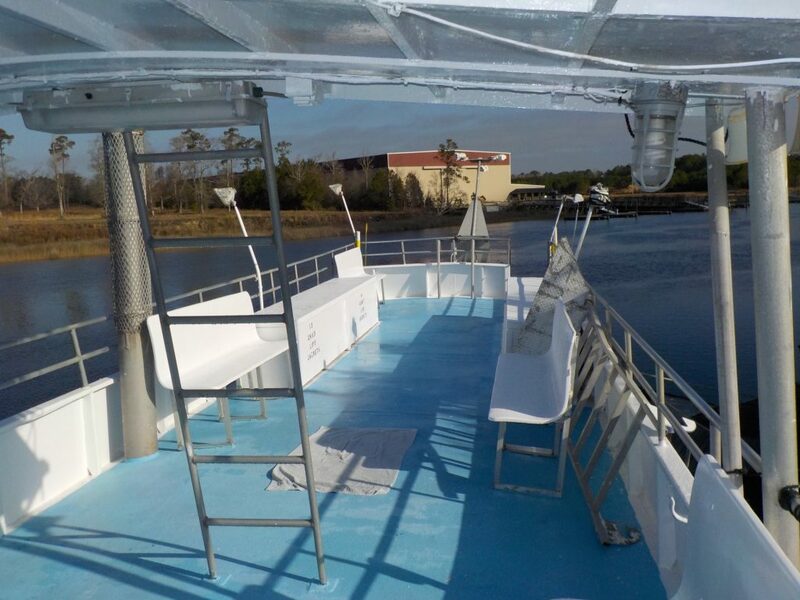 Shaded Awning on Sundeck for Dolphin Cruises. 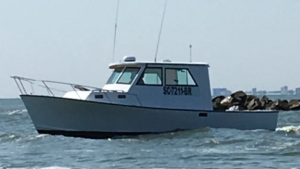 Striker Voyager holds 6 passenger and runs twin 550 HP turbo diesels providing reliability and speed with More fishing time and less riding. 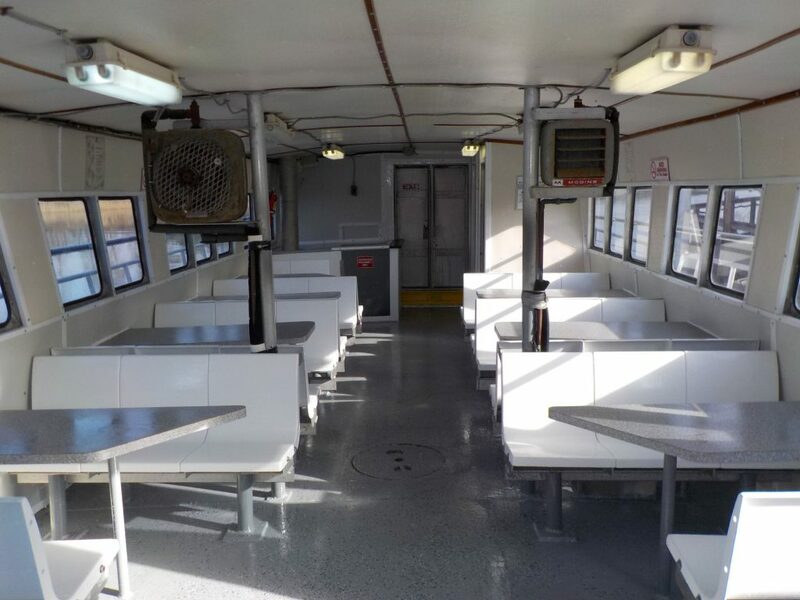 Air conditioned cabin and custom tackle for sport fishing charters. 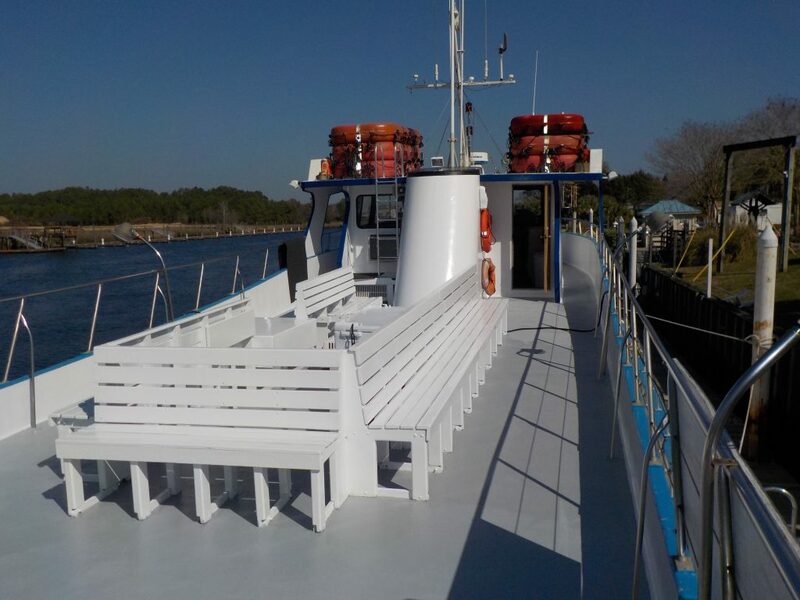 All Vessels have Air-Conditioning System on board. 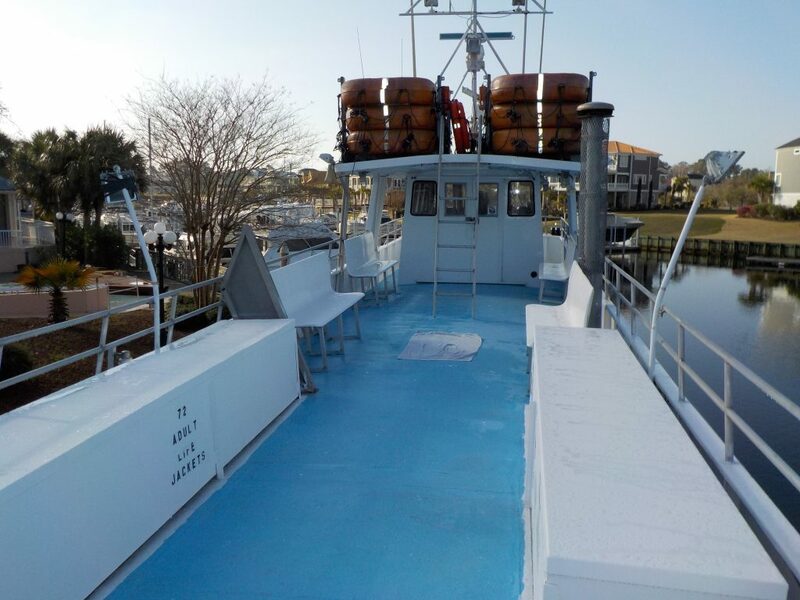 The Finest Party Fishing Boat Fleet In The Carolina’s! Fast!! Rocket Ship To The Gulf Stream, Very Comfortable, Plenty Of Room.